Anti-wobble Upper Tension Screw included. 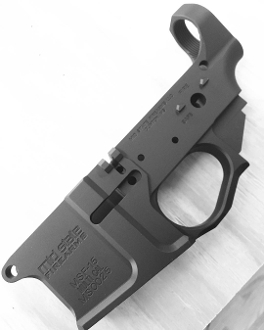 Add on the optional billet side charging upper for a sweet combo! Some magazines (g3 pmags) may have excess material that hits the magwell flare. If so, the mag may need filing. THIS ITEM CANNOT BE COMBINED WITH AN UPPER IN THE SAME ORDER. DON'T ADD THIS TO YOUR CART WITH AN UPPER. CHECK OUT SEPARATELY.